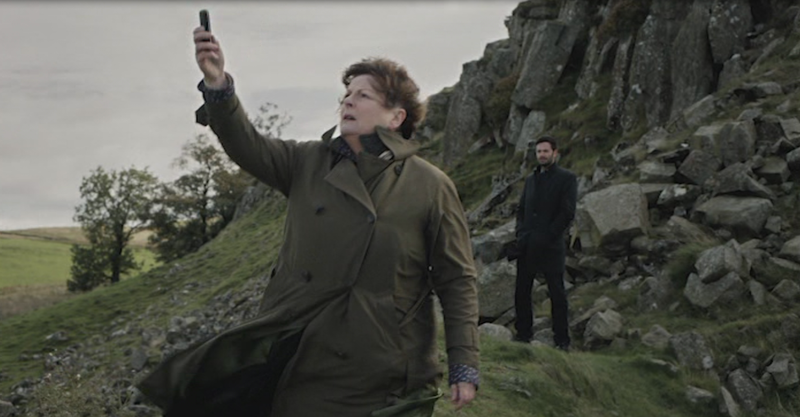 DCI Vera Stanhope (played by the wonderful Brenda Blethyn) is still barking orders and driving her old Land Rover as head of the Northumberland and City CID in the newly released Set 4 of Vera. She's ably assisted by a gang of dedicated cops, including DS Joe Ashworth, DC Rebecca "Shep" Shepherd and the put-upon and under-appreciated DC Kenny Lockhart. Also, there's a hunky new pathologist, Marcus Summer (who quickly catches Shep's eye). Set 4 includes 4 episodes that were originally broadcast in the spring of this year. Episode one, On Harbour Street, draws the attention of the police more quickly than most cases. DS Ashworth is taking the train home with his young daughter Jessie when she becomes upset that an elderly lady is still sitting on the train when all the other passengers have gotten out. She goes to wake the lady, only to discover she's dead. It turns out that the lady in question, Margaret Kraszewski, has been stabbed. Margaret lived in an old boarding house by the seaside and spent most of her time working with the local women's shelter. An old photo of a young Margaret with some people from the village might hold the clue to her murder, but Vera's having a hard time tracking down all the players. When a skeleton is discovered buried on an island not far from the boarding house, it looks like there are lots of secrets to be discovered. Protected, the second episode, also concerns secrets from the past that are about to be exposed. David Kenworthy is found gravely injured on the beach on the night of his father's big retirement party. He dies before the ambulance arrives, and Vera sets out to discover why he's out wandering along the seafront and not at his father's party. The elder Kenworthy is the owner of a big property development and management company, and David is set to take over. The other son, Tom, has no interest in the business, and daughter Lorna is estranged from the family. A man who runs the local arcade seems to have a grudge against the Kenworthy family, because in 1977 his son was killed by a fall from their roof. He was suspected of being a burglar, but his father never believed that. Still, it gives him a motive for seeking revenge. Vera and her team are able to discover that Lorna had recently been in contact with David again, and also that the company was apparently running a scam by renting public housing to deceased people in order to collect money on ramshackle properties. So many motives. Good thing Vera has a dedicated crew ready to carry out her research requests, no matter how vague! the stately Peyton House, it looks as though he might have been interrupted in the act of poaching -- especially when pellets of food used to attract wildlife are found near the body. Two teenage siblings, Saskia and Louis, find the body while 4-wheeling and immediately contact their mother, who works on the estate. In fact, most of their family is employed by the estate. Their grandfather is the gamekeeper and their aunt is married to the owner. The dead man, Shane Thurgood, is a local man who had moved away years ago but recently come back when he inherited some property from his grandfather. 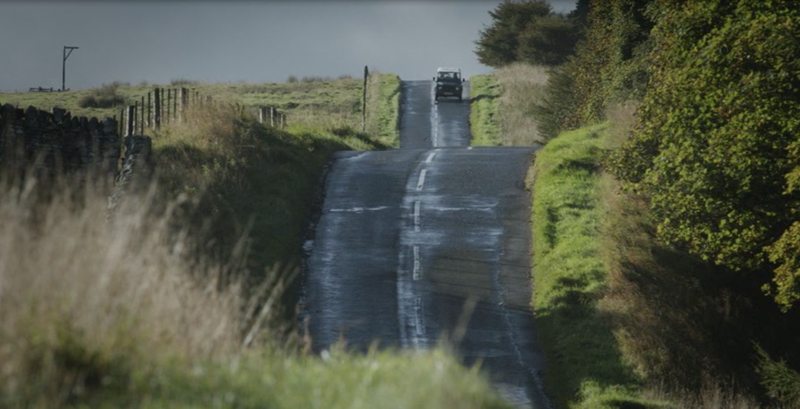 The mystery surrounding his death deepens when the burned out truck belonging to local ne'er-do-well Linus Campion is found not far from where the dead man was discovered. Are the two crimes connected? And why did Shane, who couldn't wait to leave the area, pull out of the sale of his grandfather's property -- a sale that would have solved his considerable financial problems? Death of a Family Man, the final episode, concerns a man with an extremely complicated personal life. John Shearwood is found floating in the river, and at first it seems like his death might be a suicide. His shoelaces are tied together, which would have prevented him from swimming to safety if he changed his mind after jumping. His injuries don't seem consistent with suicide, even if he did die by drowning. His family, including wife Stella and brother Luke, insist the dead man can't be John, since he is in Dublin attending a conference. 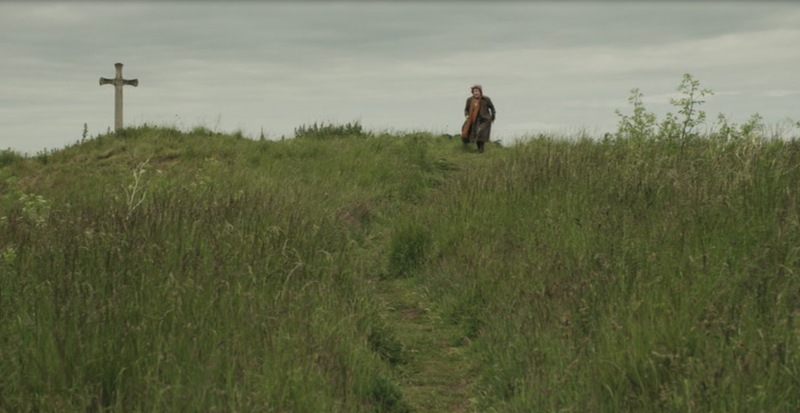 They soon discover it is indeed him, and Vera sets to investigating his life. It turns out he was working with an agent from Revenue and Customs about a scam involving illegal liquor being run by one of his employees. He also had a flat in town (in addition to his country house, where his family lived) which seems curiously un-lived in. The investigators wonder where he was spending time if not in the flat, but that question is answered when a nosy neighbor makes an appearance and says the dead man is "Gemma's fiance." John Shearwood seemed to be planning a new life with another woman, which comes as news to Vera, since his wife is saying that everything was fine between them. John also was having financial problems, so there are plenty of places to look for reasons someone would want him dead. At the same time, Vera seems to have caught the eye of an admirer. It's great to see Vera up to her old self. She likes a drink and is forever using her motherly, unassuming manner to put suspects at ease. It was fun to see her frequently pulling food from her pockets and offering it to various people as she questions them. Poor Kenny still seems to get the majority of the grunt work and the least recognition for his work, but he carries on. I also enjoyed how the four episodes were tied together, with occasional references to things that had happened in previous episodes. 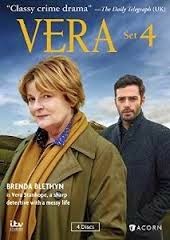 I see that there is a fifth season of Vera in the works, so I'm happy that we'll get more time with her and her team (and hopefully, the hunky Dr. Summer! ).